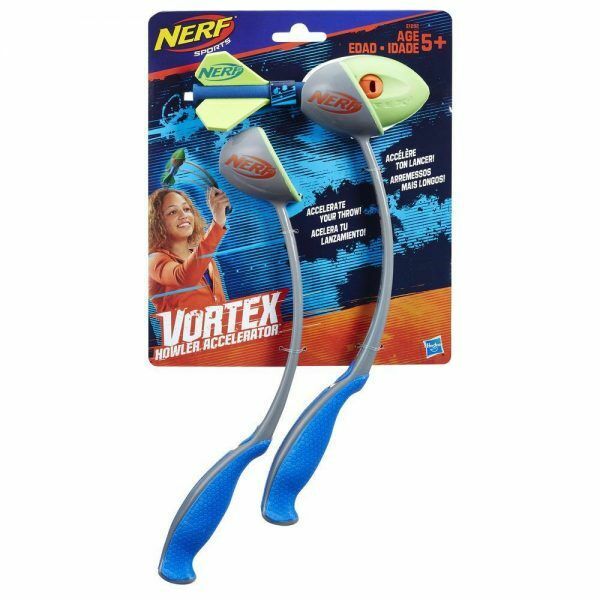 Kids can accelerate their throw with the Nerf Sports Vortex Howler Accelerator launcher! 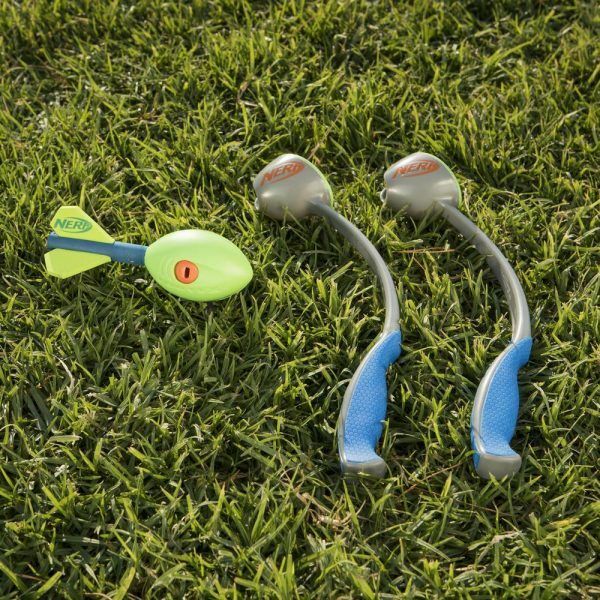 Designed for distance, the Vortex Howler Accelerator launcher helps make it easier to throw, so kids can send the mini Vortex Aero Howler ball flying far. 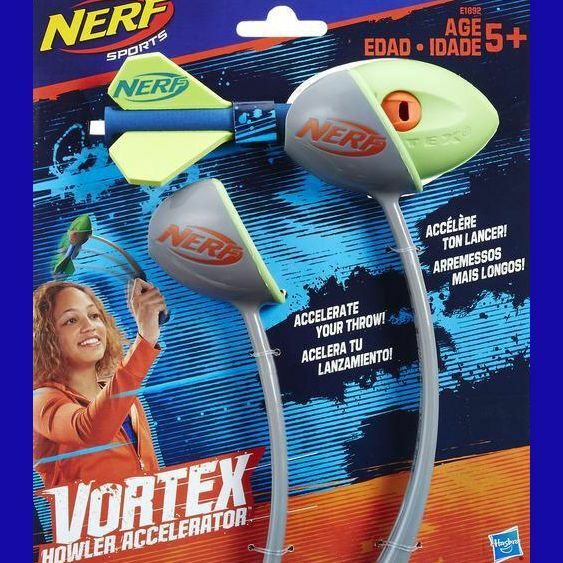 Place the Vortex Aero Howler ball in the scoop, then fling the Vortex Howler Accelerator launcher forward to unleash the ball. 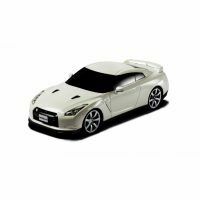 The set includes 2 Vortex Howler Accelerator launchers and 1 mini Vortex Aero Howler ball to start a game of catch right out of the box.